Traffic crashes occur so often on our nation’s roadways, we may have begun to think of them as a nuisance because of the traffic backups that occur following a crash, rather than considering that someone has suffered a serious injury or may have lost his or her life. The National Highway Transportation Safety Administration (NHTSA) reports that fatal traffic crashes increased by 7.0% from 2014 to 2015, and the fatality rate rose to 1.13 fatalities per 100 million vehicle miles of travel in 2015. The rate of injuries in traffic accidents increased by 2.6% between 2014 and 2015 to 79 injuries per 100 million vehicle miles of travel. Of the 6,296,000 motor vehicle crashes that occurred in 2015, 32,166 were fatalities, there were 1,715,000 injuries and $4,548,000 worth of property damage. The estimated cost to the economy for traffic crashes is about $242 billion. 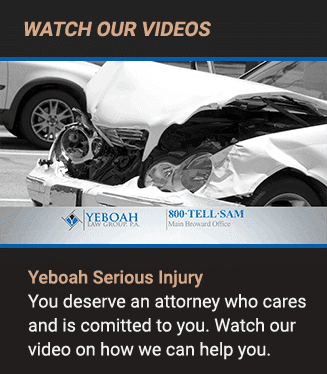 At Yeboah Law Group, our compassionate South Florida car accident attorneys are here to protect your right to fair compensation when you have been injured in a car accident that was caused by someone else’s negligence. Rear-end crashes are the most common type of car accident. The NHTSA reports that rear-end crashes account for about 40% of traffic crashes in the U.S. A rear-end crash occurs when one car crashes into the back of the vehicle in front of it. The driver of the car that hits the other car is usually at fault for accelerating too quickly, not noticing that the forward vehicle has slowed down or come to a stop to make a turn. Head-on collision. These collisions often result in fatalities or serious injuries depending on the speed each vehicle was traveling at the time of impact. Side-impact collision (T-bone crash). Often occurring at intersections, a T-bone crash occurs when the front end of one vehicle broadsides another vehicle with potential serious injuries and death. Rollover accidents. Tall vehicles such as SUVs, which tend to have a higher center of gravity, may be more prone to rollover accidents causing the vehicle to land on its side or on its roof. Multi-vehicle accidents. Also called chain-reaction accidents, these crashes often start with one vehicle crashing into the rear of another vehicle which then crashes forward into the next and so on. These types of crashes sometimes occur on highways in bad weather when visibility is low such as in thick fog or blowing snow. Single vehicle crashes. A vehicle crashes into a guardrail, a tree, or a telephone pole by the side of the road, or crashes into a building, without involving another vehicle. Sideswipe crashes. Two vehicles traveling in the same direction (or opposite directions) but parallel to each other collide into the side of each other usually resulting in property damage only. Whether they are caused by speeding, drunk or drugged drivers, drowsy or distracted driving, traffic crashes are largely the result of human error. If all drivers took a moment to assess whether they are in a safe condition to drive, if they focused fully on the task of driving, and obeyed the traffic laws, the incidence of traffic crashes would begin to diminish. At the Yeboah Law Group, we want to be the South Florida law firm that you turn to when you have been injured due to the negligence of another driver. We are accessible and dependable, and we are focused on protecting your right to recover compensation when you have been injured due to no fault of your own. What is a car incursion? When a car or any other type of vehicle crashes into a building, it is called an incursion. Cars and trucks crash into banks, restaurants, hospitals and homes causing all sorts of mayhem and destruction that seems especially startling because no one expects to get hit by a car when he or she is inside of a building. Pedal confusion. This was the most common cause of car incursion crashes, and it happened when the driver mistook the gas pedal for the brake pedal causing about 34% of car incursion crashes. Pedal confusion most often happens with drivers age 76 and older, and younger, new drivers between the ages of 16-20-years old. Drunk driving was the cause of about 19% of car-into building crashes. Driver error accounted for another 19% of the accidents. Traffic accidents where a vehicle ended up crashing into a building because of the road collision accounted for 11% of the vehicle incursions. Medical emergencies suffered by the driver such as a seizure, stroke, heart attack caused about 9% of crashes. High speed police chases were responsible for about 8% of vehicle-into building collisions.  Of all of the things that can cause a car accident, from drunk drivers, to people texting behind the wheel, and drivers who speed and drive aggressively, hazardous roadway conditions can also contribute to traffic accidents that cause injuries and fatalities. When you get into your car and drive it along the streets and highways of South Florida, you take a lot of things for granted and you are likely blithely unaware of how important roadway design, the timing of traffic signals, bridge construction, guardrail design, and roadway drainage are to your ability to use the roads safely. 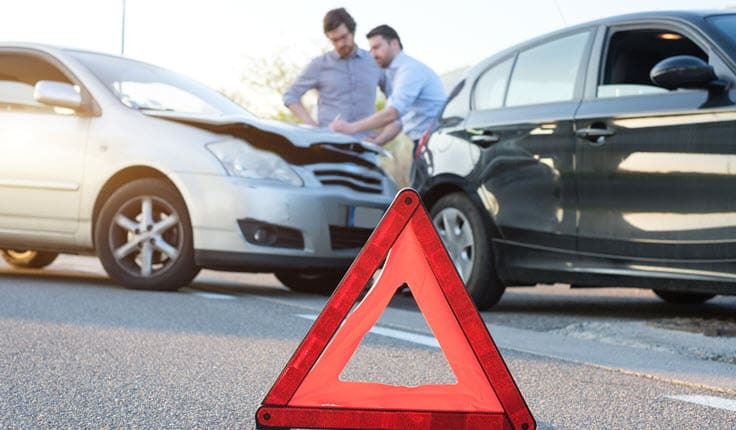 The experienced South Florida car accident attorneys at Yeboah Law Group understand how complicated it can be to bring a claim against the government when hazardous infrastructure leads to an accident, injuries and fatalities. We hold those responsible accountable for your injuries and losses. The National Motor Vehicle Crash Causation Survey (NMVCCS) studies critical pre-crash events, which are the last failure in the causal chain of events leading up to a crash. According to the NMVCCS, environment was a critical pre-crash event in about 2% of traffic crashes in 2015. Of that 2% of traffic accidents caused by environmental conditions (as opposed to driver error) about 9% were attributed to highway conditions, 3% to road signs or signals, and 1% to road design. Could your car accident have been caused by a hazardous roadway in South Florida? When you work with a knowledgeable team of South Florida car accident attorneys from Yeboah Law Group, we work with experts in accident reconstruction and roadway construction and safety. Together we discover the cause of the crash, and then set about finding the responsible party, and then we fight on your behalf to recover compensation for your medical expenses, lost wages, pain and suffering, and other damages related to the accident. How can a South Florida car accident attorney help when you have been seriously injured? If you suffer an injury in a car accident and you want to file a claim, a South Florida car accident lawyer from Yeboah Law Group will represent you as you go up against the giant insurance company lawyer whose job is to settle with you for as little as they can get away with. We fight on your behalf for all of the compensation you deserve when you have been injured as a result of someone else’s negligence. We encourage you to contact the Yeboah Law Group today to discover how we can be supportive when you have been seriously injured as a result of the negligence of another person. We make each client feel cared for and valued. Please call 1-800-TELL-SAM or complete our contact form to schedule a free consultation. We have 4 convenient locations in Fort Lauderdale, Boca Raton, Key West as well as Miami and are proud to serve the people throughout South Florida.